Does eating extra fat via Fat Bombs and Bullet Proof Coffee make you fat? Here’s the short answer. Yes and no. If you are slender, then eating fat will not make you fat. If you are obese/ overweight then yes, eating more fat will make you fat. Let me explain. The answer, of course, has nothing to do with calories (an entirely outdated and useless concept) and has everything to do with physiology. Let’s back up a bit. Under a ketogenic/ Low Carb High Fat diet, people are encouraged to eat the large majority of calories as fat. Generally, they should eat real food, until full. Some people have taken this to mean that they should add extra fat to everything they eat – witness the popularity of ‘Fat Bombs’ – treats or foods with very high fat content or Bullet Proof Coffee – coffee with the addition of extra oil (MCT, coconut etc). There has been some people who find this slows down weight loss and others that feel it does not. What’s happening? Let’s now think about the physiology of eating dietary fat. Remember there are only 2 fuels for the body – you either burn sugar or burn fat. When you eat carbohydrates or excess protein, it goes to the liver, through the portal vein and stimulates insulin, which tells the body to start burning sugar, and store the rest as glycogen or fat. Dietary fat, on the other hand, does no such thing. It is absorbed in the intestines as chylomicrons, goes through the lymphatic system to the thoracic duct and directly into the systemic blood circulation (not the portal circulation of the liver). From there it goes into the fat cells to be stored. In other words, the fat does not affect the liver, and therefore does not need any help from insulin signaling and goes directly into fat stores. So, doesn’t that mean that eating fat makes you fat? No, no at all. Let’s take the lean person (leptin sensitive) first. Remember the story of Sam Feltham’s 5000 calories/day experiment? He ate an enormous number of calories per day, and still did not gain weight (53% fat, 10% carb). As you eat lots of fat, it will get stored into fat cells, but insulin does not go up. As fat mass goes up, leptin does as well. Since the lean person is sensitive to leptin, he will stop eating in order to let that body weight go back down. If you force-feed him, as Sam did, the metabolism ramps up to burn off those extra calories. Now, the situation for the obese, leptin resistant person. As you eat lots and lots of fat, insulin does not go up. However, that ‘fat bomb’ does indeed go directly into your fat stores. You respond by increasing leptin levels in your blood. But here’s the difference. You body doesn’t care. It is resistant to the effects of leptin. So your metabolism does not go up. Your appetite does not go down. None of the beneficial weight loss effects of eating that ‘fat bomb’ happens. And yes, you will need to eventually burn off that extra fat you’ve taken in. The practical implication is this. If you are lean and leptin sensitive, then eating more dietary fat, like cheese, will not make you gain weight. However, if you are trying to lose weight, and have some problem with obesity/ insulin/ leptin resistance, then adding extra fat to your meals is NOT a good idea. Once again, you can see that we do not need to go back to that outdated, and useless notion of calories. Obesity is a hormonal, not a caloric imbalance. If you are instead worried about nutrient deficiency, then treat the nutrient deficiency, but let’s be clear – THIS HAS NOTHING TO DO WITH THE TREATMENT OF OBESITY. If you are worried about, say, Vitamin C because you have scurvy, then by all mean, take foods dense with Vitamin C. But it will not make a bit of difference for the treatment of obesity. The issue of obesity and the issue of nutrient deficiency are completely different. Do not confuse the two. I treat obesity, not beriberi disease. So I worry about reversing hyperinsulinemia/ insulin resistance/ leptin resistance. If you are leptin resistant, then no, adding more fat does not make you lose weight. 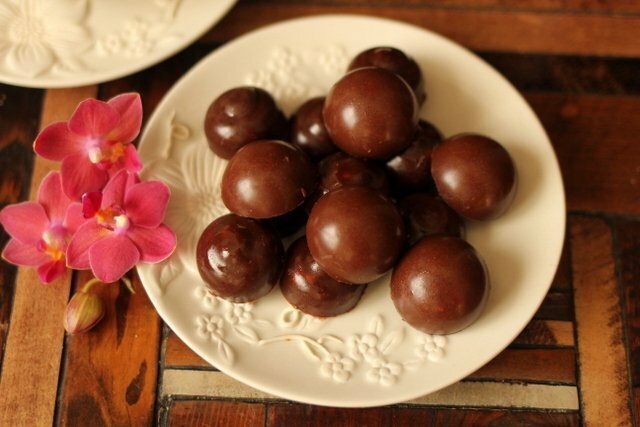 Fat bombs, for you, are not a good idea. A – Eat LCHF until full. Love it. You clarified a lot for me. You can’t have your “cake” and eat it too. A question then. How can I tell if I’m Leptin-resistant? Over past 17 weeks or so I’ve reduced weight by 17 kgs and Serum Insulin from 18 mU/L to 12 but have plateaued at 100 kgs. On LCHF managing carbs to ~10g/day and daily fasting avg 18-20 hrs. Looking for answers. Mirror test. Walk up to a mirror. If your belly hits before your nose, leptin resistant. So very true! Sounds like Jack Kruse…I think he made a similar point somewhere on his blog? Similar idea is if you look in the mirror and see excess body fat, then you are leptin resistant. In his new book the guide to fasting Dr. fung says to switch it up and try a longer fast 42 hours or more to get things started again. So if I google “what is my BMI” and plug in my stats, I’ll be able to figure out whether or not I’m “leptin-resistant”. Part of me is like “wow! I didn’t know it was that simple!”. The other part of me is thinking that I should wait a few years to see if the thoughts shared in a blog will bare any proof. I think the role leptin plays is reasonably well understood. I don’t think there’s there’s been a lot of progress on reversing or treating the resistance through medication – there’s certainly been a lot of money spent on developing a “cure” though. The problem with BMI is that it’s wrong. A 5’5″ female weighing 185 with a body fat of 30% is obese. However a 6’2″ male weighing 300 with a body fat of 5% would also be considered obese. This is because it ONLY takes into account height and weight. There’s no real science there. BMI is well-known to be useless (or to be kind, misleading), when it comes to athletes with high lean muscle mass and low body fat. For example, an on-line BMI test will typically tell an elite-level powerlifter or gymnast, with less than 8% body fat, than he/she is mildly obese and should consider starting an exercise program at the local gym. Spot on, Essexgirl..so often we think that unless something has been on the front page of every newspaper and magazine, it must be a new fad. Yet much of this information has been out there for many years. *should have added that even when something is emblazoned on the front of newspapers/magazines we still think of it as ‘new’ and likely just the latest fad diet. How do I know if I am leptin resistant? One can not fast continuously for more than 21 days, although my maximum is 7 days so far, one has to eat, right? What a leptin resistant person should eat? why can one not fast for more than 21 days? One can fast for as long as one chooses, or as long as one has stored fat to provide fuel. The longest recorded fast was 382 days, as cited in the article, and data has been published to the effect that the faster felt well, improved his weight as well as health markers, reduced his risk of disease, and maintained his weight loss afterwards. Presently I am doing the 8 week Blood Sugar Diet by Dr Mosley. Done in short 8 week periods will not have impact on metabolism. Dave, no, leptin does NOT control the metabolic rate. It is thyroid hormone that controls that. Leptin controls your appetite. So if you’re leptin sensitive, when you’ve eaten sufficient calories for your need you will no longer be hungry. If you’re leptin resistant your body won’t recognise when you’ve had enough and you will still be hungry. BTW, if you fast (800 calories a day) for any length of time you will stuff up your thyroid and your metabolic rate will drop. This is the body’s survival mode and disastrous if you want to lose weight. Calorie Reduction (800 calories a day) = lowering metabolism. Intermittent Fasting if done correctly raises metabolism or keeps it the same. Caloric Reduction as Primary strategy puts you into starvation mode. So how much fat is enough? Can leptin resistancy be reversed ? e.g. via fasting and weight loss? Dr David Ludwig has looked at this extensively at Harvard. The answer is maybe. Maybe for some people sometimes. It’s unclear. 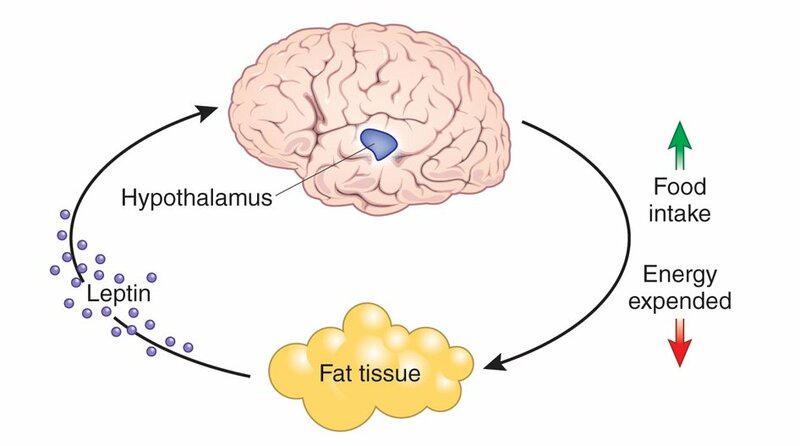 The hypothalamic damage that is leptin resistance may not always heal in adults. More research needed. Do your best & hope your body responds. And… do autophagy can play a roll here (in healing hypothalamic damage? So, can you also increase your leptin sensitivity by fasting? So good. Thanks for giving me something so share-worthy. This has just made me more confused. I am trying to lose weight and following LCHF diet 70% fat, 20-25 carbs, 5% protein, are you saying that the fat percentage should be lowered? If so to what? What would your macros look like with the addition of fasting? How would you combine the two i.e. LCHF/fasting? If what you are currently doing is not working for you eat LCHF but *with* fasting as well. So you may only eat one [or two] meal a day, and that meal would be LCHF. LCHF to keep insulin low and fasting to give your body time to access stored fat. I have wondered for weeks how on earth I was going to get to using my fat stores if I ate so much fat 3 meals a day. So on a 24 hour fast with just 1 meal , you are limited to mainly lots of green vegetables (20-25 grams of non-sugar carbs),olive oil, some nuts and maybe slight bit of meat/one egg all totaling not more than 700/800 calories?Right now I am trying to lower my blood glucose level (fasting BG is now consistently between 9/10 or 162/180 , like to lower it to 6 or 108).Approximately how long (days or weeks) will it take to achive the target? The whole point of a fast is to refeed at your full daily calories and not a low calorie diet. Fasting and refeeding at a low calorie will lower your resting metabolism. Never go below 1200-1400 calories on your refeed days. Just re-reading this blog and these comments. I couldn’t possibly eat that much in my one meal or even two meals I have on feeding days. After fasting, I’m eager to eat but I take it slow with re-feeding and I am end up full rather quickly. So I stop. If I have a second meal later on that’s usually dinner and it is more substantial but also not that many calories. but I’m not counting calories anyway. Doesn’t he say up there, calories have nothing to do with it??? Just to add – I just started the fasting & do it everyday until BG comes down.Also on medication – Metformin+Sitagliptin 500/50 twice a day. I am confused now too. What does this mean for our macros? I’m trying to lose weight. 100g fat- 75g protein-25 net carb daily. Does this mean just use fat for satiety? That is my question too. I’m on a keto diet, 24 hours fasting, and calorie counting for weight loss. Mo, you can assume you’re doing well. Keep going, be patient and see where the blood sugar is in, say, six weeks. I think it will show a lot of progress. There is a typo in this. It should say, “if you are lean and NOT leptin resistant, you can eat cheese and not gain weight”. Doesn’t he say “If you are lean and leptin sensitive, or did he correct his error? Thank you Dr. Fung! You had us worried in that interview with David Asprey, where you seemed to give tacit approval to him suggesting we should all drink Bulletproof coffees all day long (that he sells). I never read anything by Asprey any longer for that, and so many other reasons…Dr. Fung has more common sense and solid information to offer than most of the others combined, imo.. When I tried KETO for 6 months and stalled I upped my fat to 90% and started gaining weight. Maybe it works for some but the only thing that seems to work for me is the fasting itself. So if you’re likely leptin resistant and obese Dr Fung is saying to fast. What if fasting even for 14 hrs brings your blood sugar to an uncomfortable and even dangerous low level. What should I do then? I presume the good doctor means “leptin sensitive” instead of “leptin resistance” [sic]. Since the answer is not eat more fat, not eat more carbs and not eat more protein – but just fast. It got me thinking that I can ADF (fast every other day) and eat hamburgers and ice cream every other day too. If only. Hello, Steve. You may be aware of it already, but Krista Varady’s EOD partial fast protocol (5-600 calorie allowance during ‘fasting’) permits indiscriminate food choices, since her research found no difference between high- or low-fat eaters’ results for weight loss. Love it. Trying to remember the last time I treated beriberi….yeah never. Love all of this info. You are amazing and brilliant and my patients have benefited so much since I started talking to them about what I have learned from The Obesity Code. Yes, you are right, it does not break your fast. Well maybe 10% but it’s probably not a big deal. Well, taking any food at all, including BPC “breaks your fast” by the strict definition, but Dr. Fung allows for it (or low insulinogenic things like bone broth) if you need it to skip meals. You’re still breaking your fast, but you are still getting most of the benefit. Oh please! He’s a rather busy man, posting FREE blog info to help people. Between clinic hours and hospital rounds, I can accept a typo here and there. Why don’t you criticize the content and make your own (idiotic) comment productive? Marra, an editor might point out to you that using a virgule (/) between words is poor style. I’m with Pete. A busy man takes the trouble to help the public with their health and you want to nitpick. Unimpressive. “Your body don’t care” is non-standard but direct and perfectly understandable. Guess you missed his tongue and cheek style. Exactly! Some people have no sense of humour. I laughed out loud when I read that part. Totally intentional by Dr. Fung ? That’s how I took it, too. Just a statement made incorrectly on purpose to lighten things up. My daughter texted me yesterday to ask me how something was, and I answered, “it was poifect!” She responded with an lol because she knew I was joking around. My opinion is that Dr Fung has a great sense of humor and writes/talks in “slang” occasionally. He does know the difference! Marra ~ Maybe when you spend thousands of dollars on an education and countless hours of research and give it all away for free to save literally life and limb you can be critical. Until then, go play in some other sand box. My husband was diagnosed with T2D a year ago. A1C 11.5. Fasting BG was well of 300. Yesterday he had his blood work done. A1C 5.6. Fasting BG 101. And tats all we’s cares bout. Well said, Sue and Tony. What wonderful results. With all the health problems and costs of diabetes, you’d think the Government would be rushing to talk to Dr Fung and people like you. Instead, the taxpayer keeps paying the bill to keep people sick and pharma shares healthy. All of what you’re saying would be true if we ate natural foods while living in the wild. Not if you get your food from a grocery store. Your argument would indicate that you could eat unlimited bananas all the time. It’s clearly not. Dr. Fung, here, is doing a great job presenting his views and you probably shouldn’t use this forum to promote your doctors…go do it on their blog. For people who are metabolically f*cked, eating a diet of 80% carbs is an incredibly stupid thing to do. Sarah have you ever been diabetic or insulin resistant? 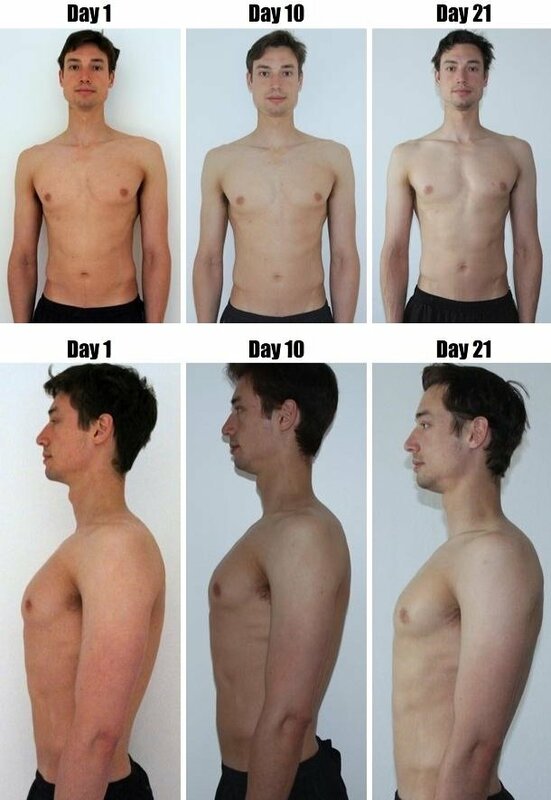 You reversed those conditions with a vlf 80% carb diet? For me personally, I tried your ideas in general most of my life eating mostly organic from my own garden. I gained 100 pounds in 30 years so you’ll have to forgive me for not buying into it anymore. Fasting and LCHF have been the only things that have kept me from diabetes. I’m definitely insulin resistant and need to reset my body. Low glycemic doesnt mean low insulin. Its the insulin resistance Dr. is addressing. Ill advised might be better than incredibly stupid. Fruit and carbs are a disaster for diabetics and insulin resistant people. They raise insulin levels, which trigger fat storage and increase hunger. I’m guessing the majority of Dr Fung’s followers fall into those categories, so this is why your high carb, low fat recommendation isn’t being well received. Believe me, pretty much everyone I know I tried low fat high carb–all thru the 80s especially. My family tried it eating unprocessed, natural foods as well. It didn’t work for us or for the rest of the nation either. Probably a great diet for thin people though. Been there, done that, lost teeth (and less weight than on keto). Thanks for this, it cleared up a question in my own mind. This is not exactly a forum for keto.most of dr fung articles are about reversing diabetes, with obesity and ketosis as being secondary benefits. Look at it from this context, and a lot of things will clear up. If you are only after weight loss, following dr fung will be a little drastic. Keto, dr ornithology, Mediterranean , paler all works. Depends on what you want. To draw fung, weight loss is just a fringe benefit. It is the internal fats in the blood and organs like liver and pancreas that dr fung is single mindedly going after . I’m not sure I agree. Obesity is a sign of metabolic syndrome. Where you find obesity you stand a good chance of finding the others, or a risk of finding them in the not too distant future. Gotta agree with you. But different folks have different needs and varying tolerance.most of dr fung cases are pretty serious. So some may go for ‘easier’ diet.in my experience, most of my friends just wanna lose weight and the girls just wanna weight loss and better skin complexion. Anyway, I was replying to chrisTine,to put things into context. I was obese a year ago this month. Started keto and enjoyed fatty fats + fasting/IF. I guess, like everything you read online, you have to take with a grain of salt and do what works beset for You. What he is saying is that obesity is a SYMPTOM of metabolic syndrome and thats what he is treating. Weightloss is a side effect of that. They ate 3 meals and no snacks usually. Then their last meal tended to be early enough before bed that they had a longer fast before breaking it than we on the standard American diet would manage eating 5, 6, 7 times a day. The key being that on only 3 meals a day and mostly no snacks people in the 50s were keeping their insulin low which is why they were thinner. Eating fat while your insulin is high will probably help you put on more weight, but do we know that it causes insulin resistance in humans? Emerson wrote, “A foolish consistency is the hobgoblin of little minds.” Sometimes this blog stretches the latitude that axiom suggests. Katie Did, can you explain what your are doing now that is helping you to lose weight? I have a lot of trouble, too. I’m confused on what you did that actuallly worked. You weren’t Paleo before? Do you eat fruit for example, as that is Paleo? You are now keeping fat to 30% and you are at 50% carbs (what kind of carbs?) and you are losing weight like that???? Can you be super clear on what you are doing NOW and are you still losing? THANKS!! I don’t eat fruit. I might try to incorporate it when I am happy with my weight. It’s basically paleo plus dairy. I eat a lot of squash and sweet potato for carbs. Lots of greens as well. No grains no added sugar. Sarah, I drink coconut oil twice a day with salt and I find it does help to curb my appetite. But you must give it at least half an hour to affect your system. Ten minutes is far to short a time to know if something is working. Since I went LCHF, I have true control over my appetite for the first time in my life. I’ve noticed that I’ve become very carb sensitive and they fuel my appetite. Sarah, I should add that I’m much less ambitious about the length of my fasts. I aim for 16 hours four or five times a week. I know some people like the challenge of going longer, but I’m really not sure that we need to go to extremes, unless there is a particular reason. Speaking personally, keeping things going long term is easy for me if I keep my goals realistic. Thank you for your reply, Steve. I’ve been eating LCHF since 2011, and did notice significant improvements in the beginning. Over the last few years, however, I’ve been steadily gaining more weight and becoming hungrier more often. Wondering if it’s an insulin issue, which is why I’d like to try for a longer-term fast. I think this may address the argument about whether one needs to count calories on keto or not. Some people insist that they do, others do fine on lazy keto. It seems likely that those who do well on lazy keto are less leptin resistant than those who do not. I’ve found that I’d rather fast longer between meals than count the calories of each meal. Why would you go low fat, Bonnie? I don’t think Dr. FUng is saying that at all. He’s just saying to add a lot of extra fat. I think that’s what he means. I mean he’s saying NOT to add a lot of extra fat either, but def not a low fat way of eating. HAve you tolds this ti your good friend and co-author Jimmy Moore?? If I can only have 20 grams of carbs (80 calories) and 60 grams of protein (240 calories) how could I possibly eat enough calories without added fat/fat bombs. Even eating fatty sausage, bacon and steaks, the fat on my meat is not enough to get me to an acceptable 1600-2000 calories per day. I need 150-175 grams of fat per day to get adequate calories. Rats! I thought fat bombs and BPC were a good way to top off the day so I would stay satiated longer. Claudia, you’re doing very well as far as I can see. The problem with LCHF and IF is that it’s not as simple a message as “Eat less, move more”, which is dumb but easy to understand. And that’s its appeal. The problem, of course, is that it doesn’t work. Low carb made me feel much better and put me firmly in control of my appetite. However, fasting made me constipated and I couldn’t get much advice on this, except to drink more water. LCHF + IF involves a bit of awareness and some trial and error. Thanks Stephen. Did fasting the 16/8 way also make you constipated or do you mean when fasting for several days? I would not want to ever get constipated. I only had one bad experience with constipation after the birth of my son and it was a nightmare. I think the fat in LCHF always keeps things regular. And magnesium certainly helps. Claudia,if your body is in fat burning mode instead of sugar burning, then you don’t need to worry about ingesting only 1000 calories. Your body will get the rest of it’s energy needs from your fat stores. Fasting gets you into fat burning fairly quickly so long fasts of multiple days really are not starvation but your body is silently happily burning through its reserves. Just because we can’t see it happening doesn’t mean our only energy is coming from what we eat daily. It comes from what we have already eaten months and years in the past. Linda, you are really doing great. Congrats. What does it say about maintenance in the book? How do you transition from 800 calories to eating more normally? Still LCHF in maintenance? And do you still continue with IF in maintenance? Does this diet eliminate fruit entirely? Geez!!! Like he said, he’d thought it would have been common sense. I am a bit skeptical of the whole “eat until you are full” concept. If someone is leptin resistant, then their ability to sense satiety is impaired. Wouldn’t it make sense to monitor and control caloric intake, even in the context of a LCHF/IF approach? I think this is very simple. Follow a low carb high fat diet. Less than 20-30 grams of carbs a day. Moderate your protein. 70 to 80% percent in good fats. Eat slowly and wait a bit before going up for that 2nd plate. Give your body a chance to recognize it’s full. If you are having a hard time losing weight don’t add or subtract from the food ratio, just fast more. FAST. That really is the key. Yes. Don’t make it complicated. Sometimes I think the worry that people do about all of this is half the problem. Good advice! What is Dr Fungs macro recommendation?? Frank, he’s never once said, ‘low fat’. He’s talking about those who think it’s a good idea to add fat bombs on top of the high fat way of eating he recommends. Eat Low Carb, High Fat and moderate protein and you’ll be fine. If you get stalled or have blood sugar issues, then add a day or two of fasting to bring your glucose down. All the best. It’s working! 16/8 most days, one days was 18/6. I’m losing again! Amazing. Thank you very much. One of the best articles on the subject, very clear and to the point! LCHF took me from 190kgs to 110 but the last 30 were taking a huge time to shed. Fasting solved it and now I’m back loosing 1-1.5kg a week, eating one day, fasting the next. In 3 months of doing Keto, this is the single clearest, most helpful article/explanation I have come across! Thank you SO MUCH! I wish someone would answer Dana Carpenter’s question about ” FAT FAST” on 1000 cal per day versus water fast advantages. I would like to know if fat fasting on 1000 cal, 90% fat can be done for more than 5 days and if it has the same effect on health. My understanding was that Lipoprotein Lipase(LP) was required to extract fatty acids from all the different transport systems circulating in the blood(chylomicron, VLDL, LDL, HDL…). But…doesn’t low Insulin levels “turn off” LP?? ?